In the workplace, Millennials are frequently distracted by personal finances, according to a recent survey. We chronicled employees’ perspectives on financial stress in the workplace by surveying 1,000 employees who graduated or attended college. Of those surveyed, three quarters of respondents were under the age of 40, representing both the Millennial sector of the American workforce and the largest generation of employees. This pool of respondents provided a window into how heavily financial stress impacts the majority of the American workforce. Employees are plagued by financial stress in the workplace, as 80% of respondents reported being distracted by personal financial concerns while at work. In fact, employees are seeking assistance with their financial management from their employers, as over two thirds of respondents reported they consider a company’s financial assistance benefits very or extremely important when deciding whether to accept a new job offer. 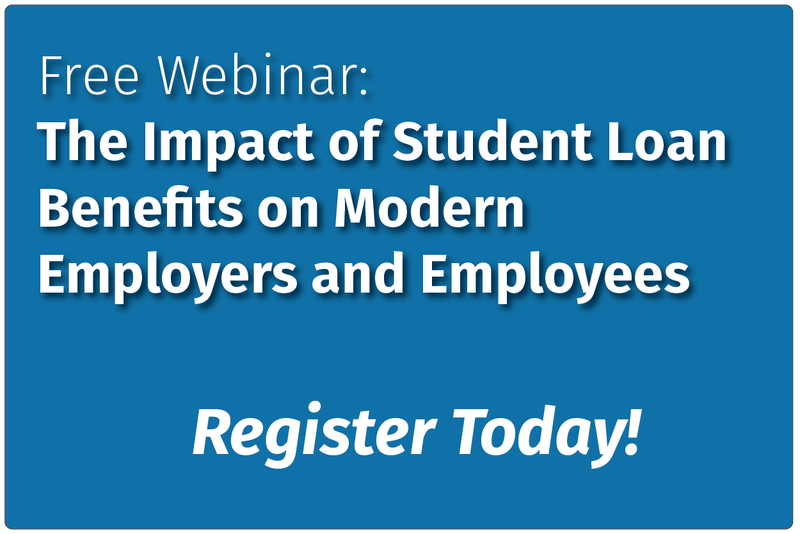 Not only do financial wellness benefits help in recruiting student-loan burdened Millennials, but they also help to retain current employees. Giving employees the tools to manage their finances empowers employees and reduces their stress. According to the survey, over one third (38%) of respondents reported spending 4 or more hours each week worrying about their personal finances while at work and 42% of respondents indicated they feel their personal finances impact their performance at work. The loss of productivity as a result of employee financial stress is impacting businesses’ bottom lines at a growing rate. For instance, 37% of respondents earning a salary of $50,000 or more reported worrying about personal finances for 10 to 12 hours per week while on the job. Thus, a company with 500 employees sees over $2.5 million dollars in lost productivity, due to their employees’ financial stress. Offering benefits that focus on financial wellness improves morale and the financial health of the company.